While this introduction to Leisure Suite is but four songs deep, I think there is sufficient evidence to make this a band to which I'll pay attention. The songs are well constructed with no ragged edges, and the band members evince genuine talent in their performances. This is perfect music for fall afternoons. Give it a listen below. Leisure Suite is released by the re-born Deaf Ambitions label. It is a digital release so you should be able to find it at the usual digital outlets. Nico Miller, Kate Miller, Jess Gunn, and Lauren Campbell are four women from the Highlands and Glasgow that comprise Sharptooth. The Glasgow-based band's music seems to me to be fuzz-pop noir. The haunting little tunes may not help you sleep tight if you listen to them before bed, but I think they are well done and compelling. This past spring Sharptooth released the Cut Me Open cassette via Number4Door Records (digital copies remain available at the link at the bottom of the post). Now the sharp guys at Fuzzkill Records are offering the band's latest track, "Sister" as a cassette and digital download. With lo-fi, crashing guitars, an ominous lead vocal and haunting chorus, "Sister" makes a distinctive, and distinctly positive, impression. Efe Tekkanat's prior musical incarnation as a punk rocker probably gave little hint of his promise as an electronica artist. But based on the evidence provided by "Honest", his first single for Helsinki's Soliti Music label. The 19-year old Finn, performing as Oceans, offers an insistent, eminently danceable groove, but includes R&B vocals that suggest Efe understands the value of adding warmth to his compositions. We're looking forward to more from Oceans. Shelflife Records is one of the most reliably delightful little labels in our universe, so we are always willing to pay attention to one of their releases. Their latest nugget is the self-titled debut album from The Luxembourg Signal, and guitar pop fans may well judge it to be one of the best releases this autumn. Treading -- or maybe swaggering down -- the line between dream pop and shoegaze, with hints of '90s college rock, this band sounds like a Sarah Records band reborn with the benefit of added power sources and a more mature outlook on songwriting. And that may be because, more or less, that's what this band is. Members Johnny Joyner, Beth Arzy and Brian Espinosa, all of whom were with Sarah Records darling Aberdeen (and Fonda and Trembling Blue Stars), started The Luxembourg Signal with Betsy Moyer and Ginny Pitchford. 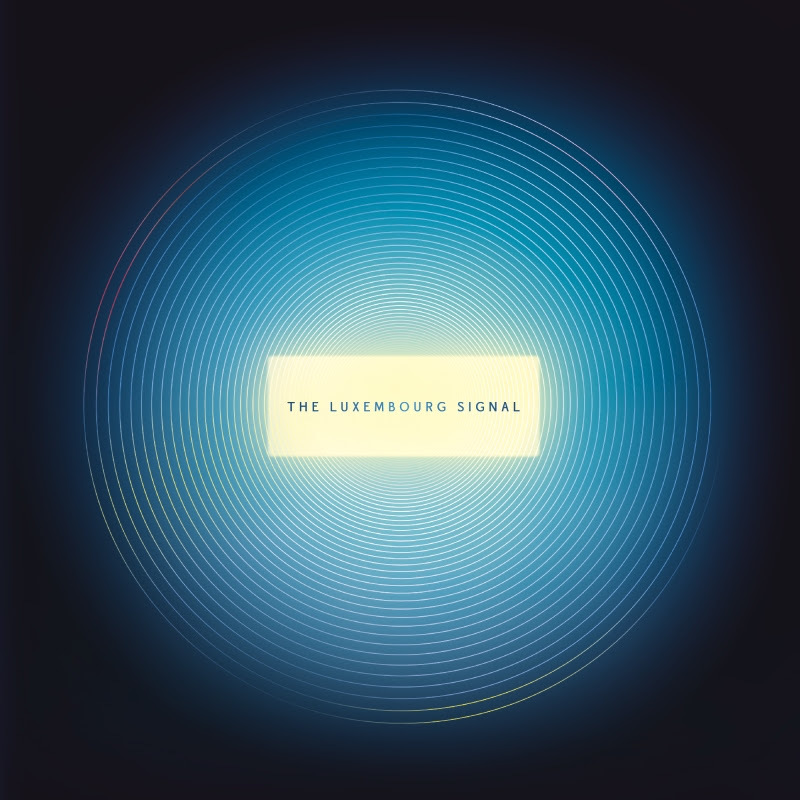 The ten tracks on The Luxembourg Signal are emotionally rich thematically and musically. Arzy's perpetually youthful vocals remain a sweetly commanding focal point, while the guitars crash, thunder and soar in support. 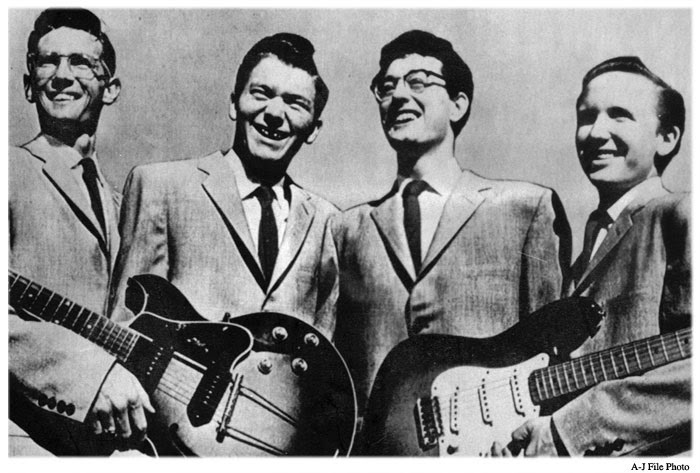 The previously released second track "Distant Drive" heralded the guitar power that the band would deliver on this recording. 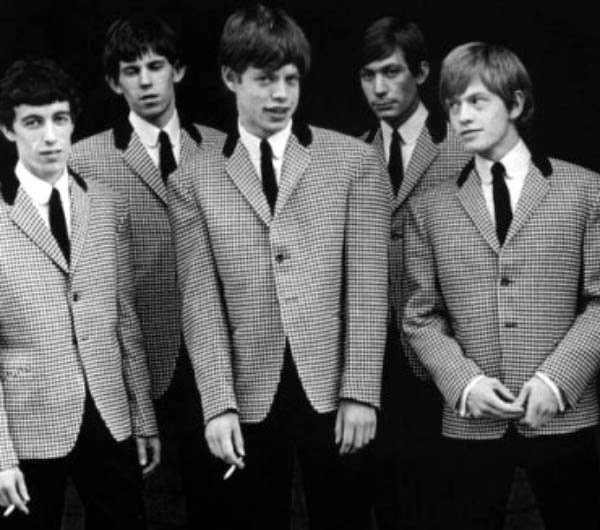 But the band's depth is revealed by the more pop oriented third and fourth tracks, "Heaven" and "She Loves to Feel the Sun". Track five, "First Light", unspools like a delicious slice of Echo and the Bunnymen or Bauhaus, with shoegaze overdrive. 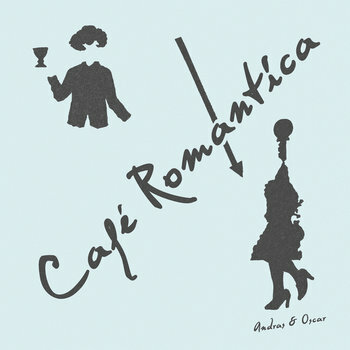 The sixth and seventh tracks, "Drowning" and "Wishing Pool", envelope the listener in waves of thick, jangling guitars. "Un-Phased" is a brief and gentle instrumental, and serves as a delightful lead-in to the driving dream pop "We Go On", which may ultimately be one of many fans' favorites on this album. The album closer, "Let It Go" is a surprising and perfectly constructed jam, with near top 40 bounce and a delightful vocal hook wrapped in shoegaze. The Luxembourg Signal is an LA-based band, although Arzy still resides in the UK so recording time together is limited. I don't know what that all means for the future recording output from the band, but I do know that this first effort is amazingly good and I highly recommend it. The Luxembourg Signal is available in digital, vinyl and compact disc formats. Braves are Alex, Kieran, Liam, and Simon, and they reside in Perth, Western Australia. They think you should get to know their music, and they have made it easy for you -- their five-track Seapunks EP is available for 'name your price'. Of course, we don't want you to waste your time, so we have bravely tested the album to make sure that it is up to our high standards. We started at the beginning with the surf punk of the title track, the garage of "True Feelings", the dream pop of "Losing You", the jangling "First Train to Squaresville" and the garage jam of "I Don't Surf". The committee then conferred, and concluded as follows: THIS IS REALLY GOOD STUFF, SO STOP READING THIS BLATHER, GO TO BANDCAMP AND DOWNLOAD THIS ALBUM. AND CONSIDER GIVING THE LADS A FEW DOLLARS SO THEY CAN BUY NEW GUITAR STRINGS AND BEER. Eight tracks of poetic folk and Americana (or is it Canadiana?) 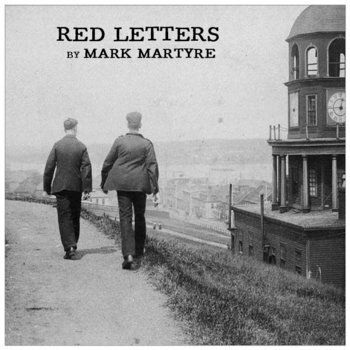 comprise Red Letters, the new album from Toronto poet and singer songwriter Mark Martyre. The themes are personal and reflective and the tone is warm. The minimal instrumental accompaniment of guitar, bass, violin, piano and, at times, accordion allows focus to center on the true stars of the songs, Mark's words, and his gravelly voice. Most of the tracks are downtempo, but Mark ups the pace for personal favorite "I Wasn't Born to Lose You" and the piano romp of "My Baby's Gone A Flyin'". My personal reaction to Martyre's album is that, at its most basic level, it is about textures. Certainly and most obviously, those textures include layers of various instruments and Mark's voice. But the most lasting impact is the emotional textures created by Mark's words, aided by his inflection, and use of space and timing to underscore the emotions. True artistry is the ability to use restraint to emphasize the depth of feeling, and that ability is quietly loud on Red Letters. Red Letters was released on October 14, and is available as a digital download or CD at the Bandcamp link below. John Holt, one of the giants of Reggae's golden years, died yesterday in a London hospital at age 67. A famed vocalist and successful songwriter, his career spanned his entry in talent shows when he was in the mid-'50s to his last album release in 2003. As a vocalist, he enjoyed success as a solo artist, in duets, and in the group The Paragons. Some may recall that The Paragons recorded the original version of "The Tide Is High", which later was a hit for Blondie. While he recorded socially conscious and Rastafarian related material, he probably was best known for his romantic, "lovers rock" recordings. To remind you of his talent, I've included clips of his Rocksteady hit for the Treasure Isle label, "Ali Baba", his lovers rock hit for Studio One "I Want A Love I Can Feel", and the original version of "The Tide Is High". Brisbane's Sam Poggioli is a breath of fresh air on the music scene. As Sampology, he creates joy-infused dance music that pleases your ears and ignites your feet. And he also creates wonderful visual accompaniment. It seems that a US album is due in June of 2015, but Sam and two other collaborators are in the US now to play live shows, including several at CMJ. The remaining dates are at the bottom of this post. For an introduction to Sam's audio-visual talents, enjoy the video below for "Shine A Light", featuring Daniel Merriweather and Sam's visual creations.